Frutarom is interested in expanding its portfolio in eco-friendly and clean label ingredients that are trusted by manufacturers and consumers. 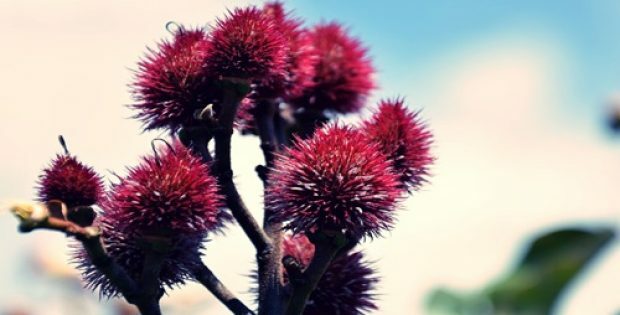 Frutarom Natural Solutions Ltd., a company that manufactures and markets high quality flavors and ingredients recently announced that it has secured organic certification for its natural annatto color. For the record, Frutarom is a division of International Flavors & Fragrances Inc. (IFF). Reportedly annatto color, which is derived from annatto seeds and extracts has been used to add a yellow to reddish tint to foods and beverages has been used for more than 100 years in North America and Europe. Frutarom received organic certification for the color from both U.S. Department of Agriculture and The European Organic Certifiers Council. Frutarom claims that annatto color is one of the most economically significant natural colorants in the world. According to an official press release, Frutarom, in order to support the certification, trained around 50 farmers in Codo del Pozuzo and Quillabamba Valley, Peru. The company declared that it maintains full traceability of the harvesting processes through which it provides pure, organic annatto color. Yoni Glickman, President of Natural Product Solutions, IFF Frutarom has been reported to say that organic colors are an essential part of the clean label trend. Organic certification has become an industry standard in case of foods and beverages and involves all aspects of harvesting, extraction and maintaining traceability of the ingredient, from seed to final product. Frutarom declared that it supports its Natural Solutions Products business with careful selection of agricultural land that comes with no prohibition of chemical inputs. The farmers involved by the company are instructed to use non-GMO seeds and natural antibiotics, fertilizers, hormones and pesticides. Ilanit Bar-Zeev, Vice President at Natural Product Solutions of IFF Frutarom said that the process is all about staying loyal to consumer expectations who are increasingly demanding clean label products that are eco-friendly and help protect the environment. Bar-Zeev added that Frutarom strives to maintain a balance between responsibly sourced natural, organic color and affordability and accessibility of the product in the marketplace. Sources site that Frutarom is interested in expanding its portfolio in eco-friendly and clean label ingredients that are trusted by manufacturers and consumers.